JAIME FERRER NOS HA HABLADO DE LA NUEVA LEY APROBADA EN LA COMUNIDAD VALENCIANA QUE PRETENDE LA APLICACIÓN DE LA CUSTODIA COMPARTIDA EN LOS CASOS DE DIVORCIO. ADEMÁS HEMOS ANLIZADO LA ACTUALIDAD DEL DENOMINADO CASO BRUGAL, TRAS LA DECLARACION-INTERVENCION DEL EDIL MANUEL ABADIA QUE ACUDIA ESTA SEMANA JUNTO A ANTONIO RODRIGUEZ MURCIA AL JUICIO ABIERTO IMPUTADOS DE VARIOS DELITOS EN RELACIÓN A LA CONTRATA DE LAS BASURAS. 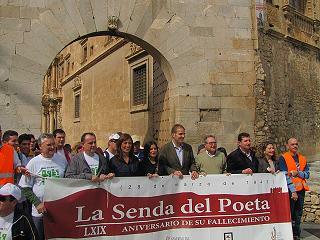 LA SENDA DEL POETA HA ARRANCADO ESTA MAÑANA DESDE LA CASA MUSEO DEL POETA EN ORIHUELA MONTSE NOGUERA HA ESTADO EN ESE MOMENTO Y RECOGIDO PARA PROTAGONISTAS LOS INSTANTES PREVIOS A INICIO DE LA SENDA. COINCIDIENDO CON LA SALIDA DE LA SENDA DEL POETA, SE HA INICIADO LA LIBERACION DE MAS DE 800 LIBROS DE MIGUEL HERNANDEZ, EN LA INICIATIVA LIBERANDO A MIGUEL QUE ACTIVA ORIHUELA Y LIBRERÍA CODEX DE ORIHUELA HAN ORGANIZADO Y A LA QUE SE HAN UNIDO CON SU APOYO NUMEROSOS COLECTIVOS. ANA RIQUELME Y VICENTE PINA PADRE DEL PROYECTO HAN ESTADO CON NOSOTROS EN PROTAGONISTAS. 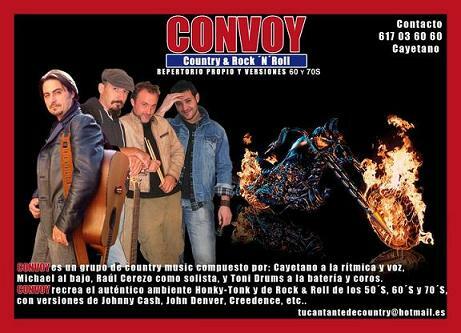 HOY EN PROTAGONISTAS DE LA MUSICA HEMOS TENIDO A CONVOY,UNA BANDA DE COUNTRY DE ELCHE QUE ESTARAN DESCARGANDO SU REPERTORIO EN EL ESCENARIO DE THE ABBEY TAVERN EL SABADO 26 POR LA NOCHE,NO TE LOS PIERDAS. VI SALON DEL LIBRO INFANTIL Y JUVENIL DE ORIHUELA. 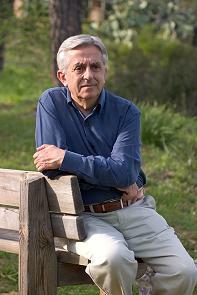 ANTONIO RODRIGUEZ ALMODOVAR, HA ESTADO EN PROTAGONISTAS ANTES DE OFRECER ESTA TARDE LA CONFERENCIA INUGURAL DEL VI SALON DEL LIBRO INFANTIL Y JUVENIL DE ORIHUELA. 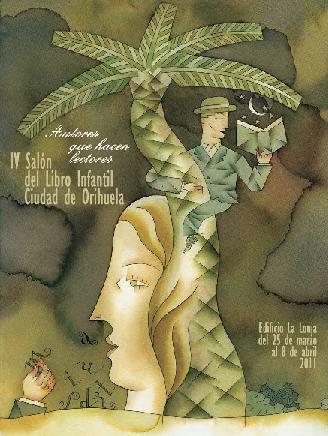 EL QUE PARA MUCHOS ES EL MEJOR EXPONENTE DEL LOS CUENTOS Y RELATOS TRADICIONALES, MUCHOS PROCEDENTES DE UNA RICA TRADICION ORAL. NOS HABLA DEL FASCINANTE MUNDO DE LOS CUENTOS Y RELATOS Y DE LA IMPORTANCIA QUE ESTOS HAN TENIDO EN LA LITERATURA UNIVERSAL. 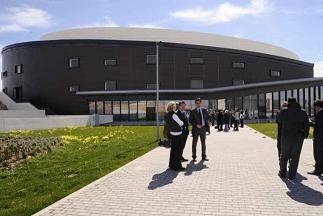 ESTA TARDE SE INAUGURA EL AUDITORIO CONSERVATORIO INTERNACIONAL DE MUSICA DE TORREVIEJA, LA PRINCIPAL INVERSION DE LA GENERALITAT VALENCIANA EN LA VEGA BAJA ESTA LEGISLATURA CON UN PRESUPUESTO DE 36 MILLONES DE EUROS. EDUARDO DOLON EDIL DE CULTURA NOS HA HABLADO DE ESTE DIA HISTORICO PARA LA CIUDAD Y DE CÓMO VA A COMENZAR SU ANDADURA ESTA IMPORTANTE INFRAESTRUCTURA CULTURAL. EN NUESTRO APARTADO DE OPINION HEMOS CONTADO CON UNA OPINION DE KARLOS BERNABE, MIEMBRO DE IZQUIERDA UNIDA DE ORIHUELA QUE HABLA DE LA DIFERENCIA QUE EXISTE ENTRE LOS QUE SE ENCUENTRAN EN LA OPOSICION POLITICA. LO LLAMA FORMAS DE OPONERSE.